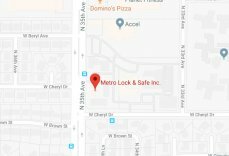 Safes Glendale AZ | Local 24 Hour Service | Metro Lock & Safe Inc. When you need quality safes in Glendale, AZ there’s no one better than Metro Lock & Safe Inc. We have a large selection of safes in all types and styles to fit any need. There is no one size fits all when it comes to safes in Glendale, AZ, and our locksmiths recognize that. We want to supply you with the best safe for your needs, no matter what those needs are. With professional installation, whether you’re in the market for commercial safes for your assets or residential safes for your home, we provide complete safe services in Glendale, AZ. Sometimes you can have a malfunction with a safe, or your safe’s lock may not be working the way it once did. Whether you have standard safes or electronic safes, we can provide the expansive safe repair in Glendale, AZ you require. Our technicians are fully trained in the repair of most makes and model of safe. With the number of safe options available today, it’s important to have a locksmith who’s worked with many different safe types. Our locksmiths are hired for knowledge, skill, and experience, so you know you’re getting the best when you contact us for repair of your safes. Safe cracking in Glendale, AZ can be critical. When you’re suffering from safe problems you don’t want to wait. 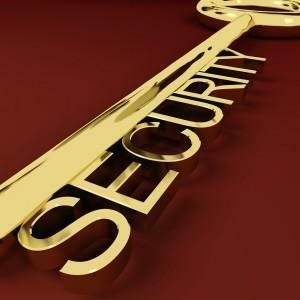 Immediate access to your safes is crucial, and our locksmiths can provide it. We have a number of different tried and true techniques for gaining access to safes. Though the safe itself will not always be salvageable, we will always discuss this with you before proceeding. Our methods are effective, so when you’ve locked yourself out and need fast access to safes in Glendale, AZ, don’t hesitate to call the professionals. For all your services regarding safes in Glendale, AZ call (623) 455-5515 or contact us today. With an expansive history and gorgeous weather, Glendale, AZ is a modern day paradise. There’s a lot to do for those interested in nature and history. One of the Glendale, AZ‘s most understated museums is the Glendale Police Museum. Dedicated to the history of the Glendale, AZ police department, this museum contains interesting exhibits and lots of information. Those interested in something a little further from home might enjoy Glendale, AZ‘s very own AZ Challenger Space Center. with star gazing, a space simulation, and educational camps, this is a great stop for family and those with an interest in outer space exploration.